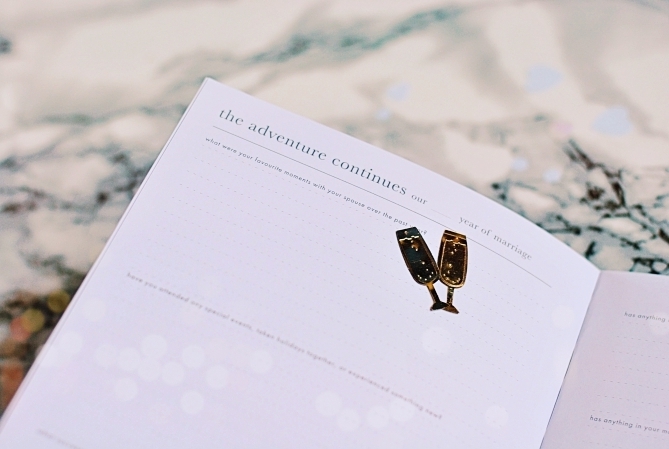 The anniversary diary is a sleek white book with just 'I Still Do' written in gold on the cover. Inside, the book is just as minimalistic, there are no pictures and besides a few blank pages it's all about writing content about several subjects. 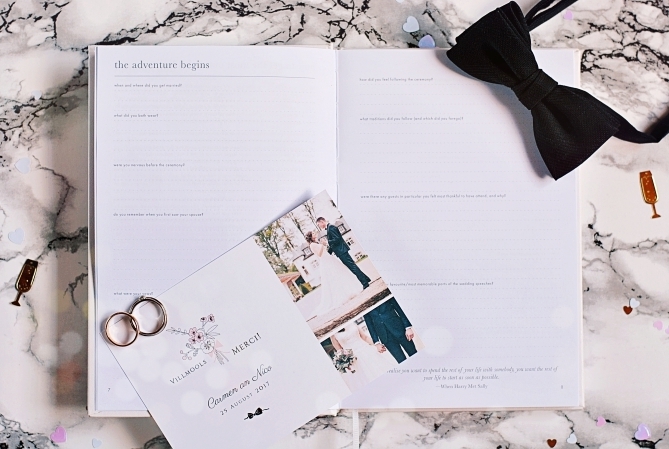 The journal starts with an introduction about Megan's own wedding story and why she decided to create a wedding anniversary journal: "We devote so much time and effort thinking about and planning our 'ideal' wedding, but not nearly enough time thinking about, and planning our 'ideal' marriage." On the next page she explains how to get the most out of the diary, which can be used at any stage of your marriage. The first chapter is dedicated to your wedding so you can write down things like your vows, what you liked about your wedding day, etc. Then there are a few pages for current thoughts, i.e. for when you start the journal. And finally you have 10 chapters for your 10 following wedding anniversaries that should be filled out every year. In each anniversary chapter you take a look back on the last year as a married couple and you write down the good things and the bad things. Some questions are easier to answer, like your favourite meals together, but some are harder to answer, like for example how you overcame difficult moments together. 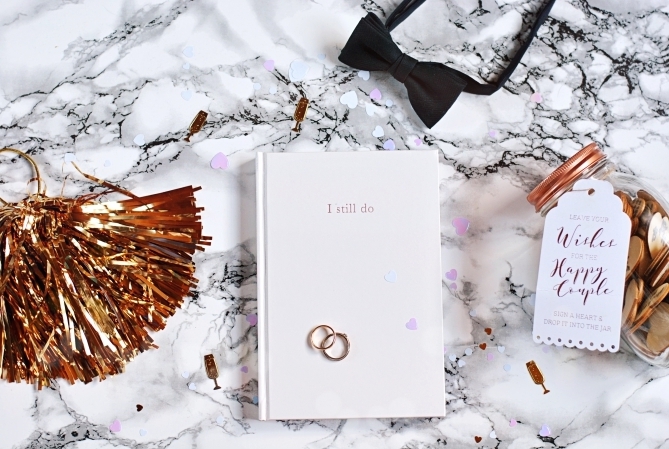 All in all the book asks much thinking and reflection together and filling it out can feel really intimate, which makes it the ideal tool for couples to grow closer together - and why not a lovely wedding gift! Get the 'I Still Do' wedding anniversary journal here.